We recently wrote about some of the changes being proposed in the Children and Families Bill that will not benefit families. We looked at the duty to identify SEN, the annual review, the time limits and also the format of the Education Health and Care Plan (EHCP). Today, we want to raise your awareness of other issues with the proposed changes and would like to thank Jane McConnell and all at IPSEA for helping to raise awareness of these. 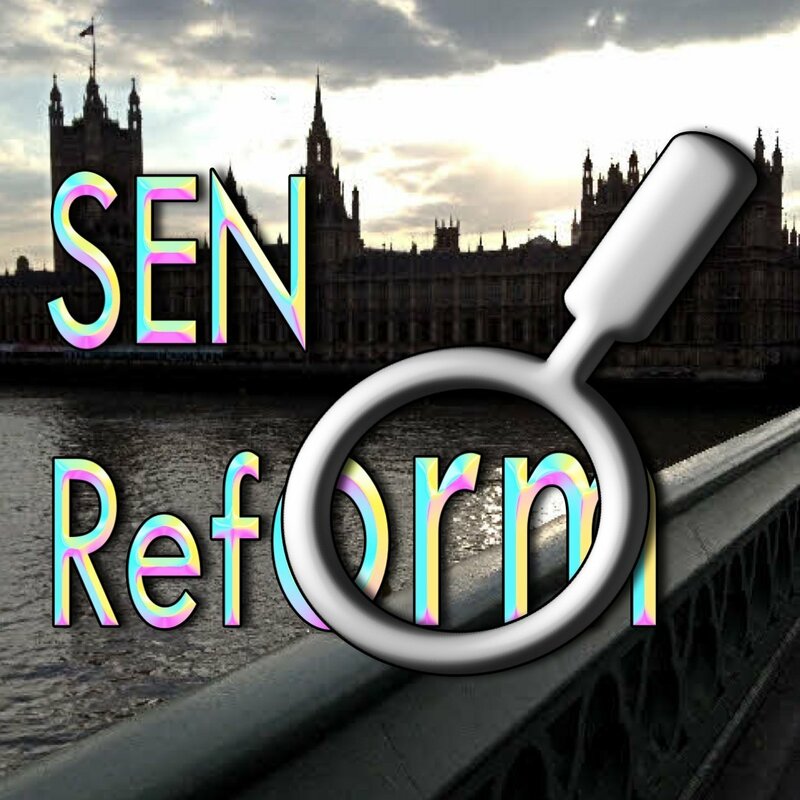 At present any child with SEN but without a statement must be educated in a mainstream school. In order to attend a Special School, a child must have their needs assessed and the LA then have have a duty to fund the provision identified by the assessment. This, in principle, protects children being placed in potentially inappropriate schools. There are no exceptions to this in the current legislation. 2. If a child with SEN is admitted to a Special Academy without EHCP - what happens when things go wrong? What if the Academy cannot meet the needs of the child? What if the child, due to no assessement of needs, is placed in the wrong Academy? There is no duty for the LA to fund the provision without an EHCP and the parents will have nothing to challenge the school or LA with if there is no EHCP. What about the Health and Care provision? If no assessement or EHCP, how will the school and family know they are meeting the Health and Care needs of the child? Yes, there will be minimum standards that all schools must adhere to - but let's be honest, have you ever tried to find your LA's miminum standards and if successful, actually make sense of them? There is of course the NHS constitution and the Children's Act but very often, to access the Social Care side of support, a statement is currently needed so no EHCP could, in theory mean, no access to that support. We need the DfE to seriously consider this option. Having an assessment ensures that the child's needs are accurately recognised and provision put in place. At present, a re-assessment is the same as an assessment. If a child or young person's needs change, then a further assessment can be requested and if agreed, then the LA has to comply with the statutory assessment duties. This includes time limits, consulting with the professionals named in the Regulations (education professionals, educational psychologist, social services and health services). However, in the proposed Bill, a new concept of re-assessment is being introduced. LAs will be allowed to decide what format a re-assessment takes. There will no longer be the same duties to consult and obtain evidence from the professionals named above and they can also choose to review just one area of the EHC Plan. Also, there is no duty for the LA to conclude the process of re-assessment at the two points which would trigger a right of appeal to the SEND Tribunal (i.e. when the LA decides not to issue an amended EHC Plan or when the LA issues a new EHC Plan with which the parent disagrees). So basically, if your child's needs change, the LA can re-assess but may only reassess one part of the Plan, e.g. the health part but no need for them to reassess the Education and Care part of the Plan. As we all know, each of these impacts on the other which is why the idea of an EHC Plan was so popular with parents. One plan that looked at their child holistically, no need to tell your story more than once, everyone working together, etc. So why have a joint plan, why jointly commission, why fund "Working in Partnership" workshops if once the EHC Plan is published, any re-assessment reverts back to individual agencies. If you are not happy with the proposed amended EHC Plan or if the LA decides not to issue an amended EHC Plan, then the proposed Bill (in its current form) does not give you any right to appeal to the SEND Tribunal. Again, this Bill is introducing changes which, if we are honest, are based on every LA existing in a world we don't live in. Yes, in an ideal world, LA's would never not re-assess, they would always produce an amended Plan if the child's needs changed, the plan would always look at the child's need in every aspect of their life and the LA would unreservedly support families if their current school did not meet the needs of their child. However, we live in the real world.